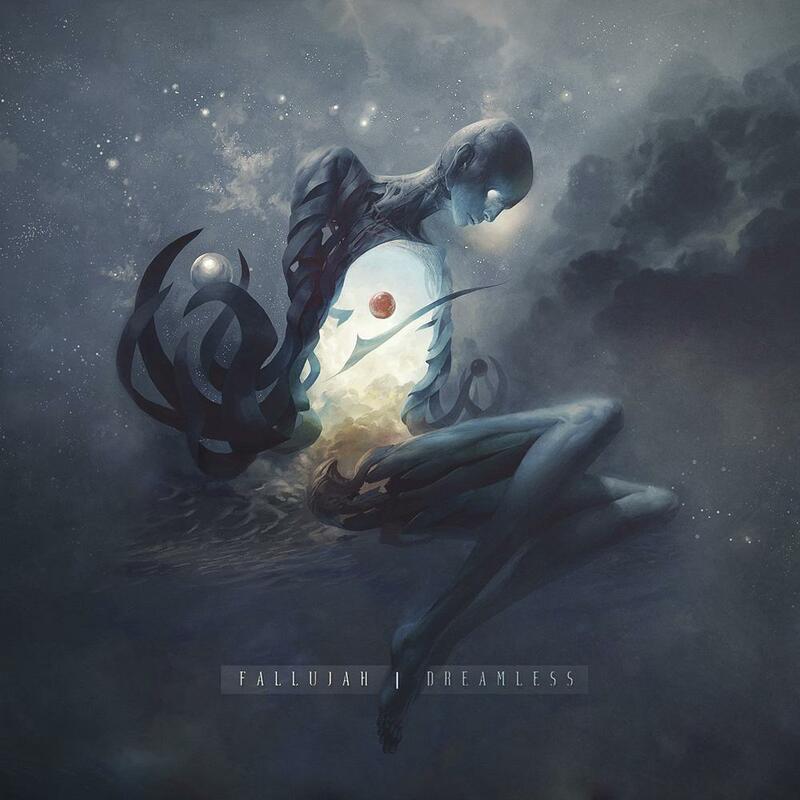 Fallujah are from the US and this is their third album of progressive death metal. Fallujah are one of the more interesting and individual bands out there. Their previous album The Flesh Prevails was an exceptional release that really showcased their blend of technical/progressive death metal, with bright melodies and soundscapes created with ease, all wrapped around a modern death metal core. They have now returned with their new album, Dreamless, and have fully embraced their atmospheric side. Although they’re more of an atmospheric, emotional metal prospect than pure death metal these days, they still have a recognisably death metal heart though, thus making them still deserving of the tag. There’s a huge emphasis on atmosphere, ambiance and emotional resonance throughout these songs. Whether guitar or keyboard-based, the atmospheric layers are piled on thickly to great effect. Sure, the band know how to turn a brutal riff or a heavy breakdown, but their main interest lies in their transcendent melodics and progressive, post-metal explorations. Powerful melodies and emotive leads are the main order of business on Dreamless. These are a distinctive factor in Fallujah’s sound, allowing the band to add so much colour and texture to their extreme metal. For all its extroverted attributes, this seems to be a very personal record in some ways, with an introverted, introspective core that fuels the emotional outpourings that the band are capable of. These emotional responses are guarded jealously by the heavy guitars and pummelling drums, but only so much of it can be contained, and the mellifluous leads characterise these escapees. Alongside the usual growled vocals the band also use other vocalisations, such as screams and whispers. They also include some angelic female cleans here and there. It all adds to the album’s strong package and everything is delivered flawlessly. Once again, Fallujah boast a bright, shiny production that makes everything stand out clearly, bathed in the light of the resplendent guitars. A highly evolved and impressive metal release; Fallujah continue on their upward trajectory with Dreamless. Far from being true to the album title though, in many ways this is one of the dreamier and more surreal albums I’ve heard in a while. That freedom to dream and explore is important, and it’s one of the reasons that Fallujah are so good at what they do. I strongly suggest you check this album out. This entry was posted in Death Metal and tagged Atmospheric Death Metal, Death Metal, Fallujah, Metal, Post-Metal, Progressive Death Metal, Progressive metal, Technical death metal. Bookmark the permalink.